Connect the 915-MHz antenna to the gateway's UHF antenna jack. Connect the Wifi or cellular antenna to the Wifi or Cell jack (for Wifi / cell enabled models only). Connect one end of the wall-plug adapter to the gateway's Power port and the other end to an electrical outlet. Wait a minute for the gateway to bootstrap, then connect a PC to the local Ethernet jack (the middle one) using the provided Ethernet cable. Navigate to the local webpage. On the connected PC, open a browser and navigate to 192.168.3.3. Log in using username "admin" and password "password." The gateway's local webpage appears. 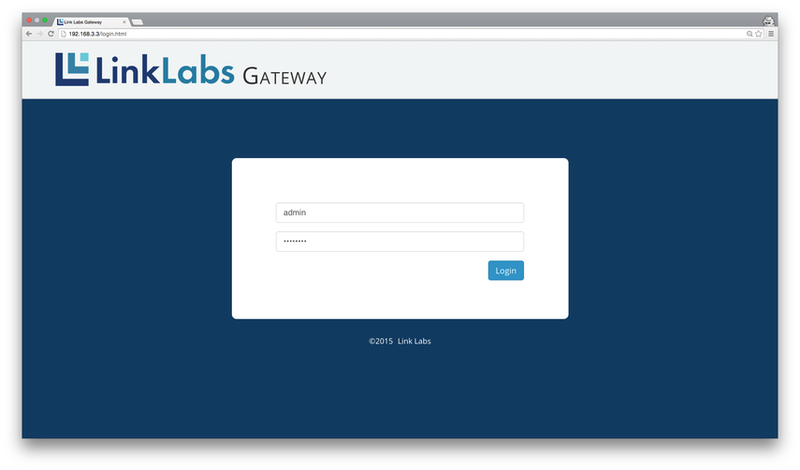 The local webpage provides an interface to view the status of the gateway, to connect it to the Internet, and to register the gateway with a Conductor account. Connect a DHCP-enabled network to the gateway's LAN Ethernet jack (the one closest to the serial connector). In the Wired Network tab, select the Enabled checkbox. Click Submit. 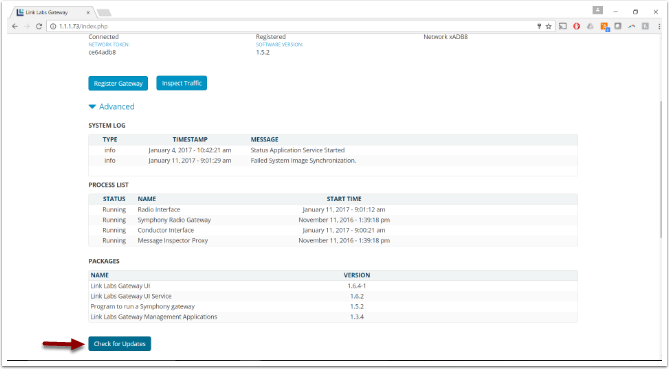 After a few moments, the Wired Network tab updates with the connection information. In the Wireless tab of the local webpage, select the Enabled checkbox. Select a Wifi network from the SSID dropdown listbox and enter the password in the SHARED KEY editbox. Click Submit. After a few moments, the Wireless tab updates with the connection information. The cellular-enabled model of the indoor gateway (LL-BST-8-915-SYM-G-I-US) includes a cellular modem. 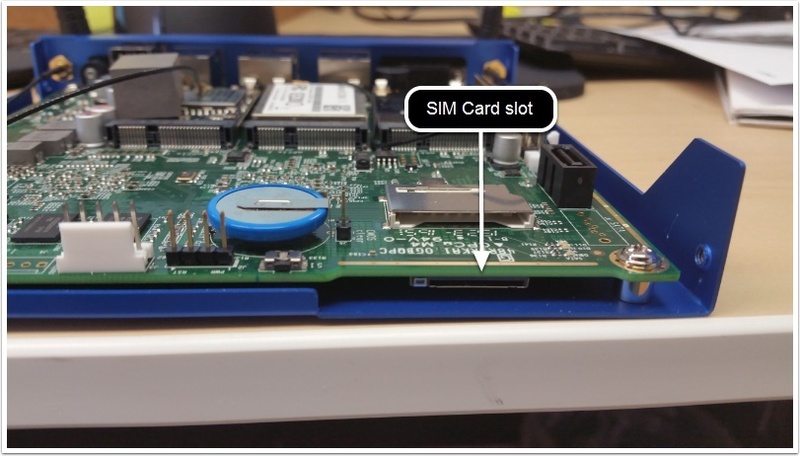 To use cellular option, first insert a SIM card in the gateway. 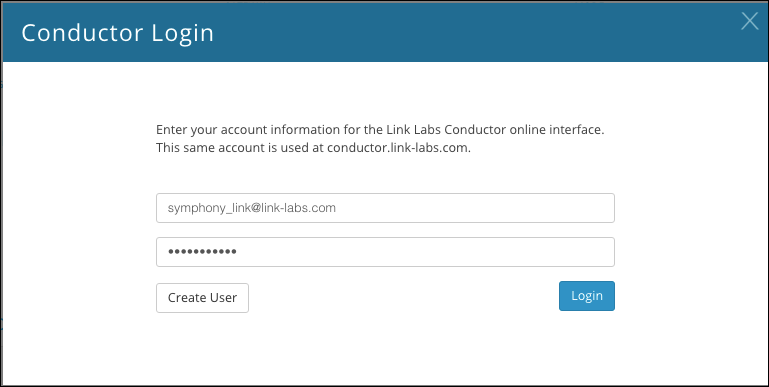 This step connects your gateway to your web-based Conductor account. 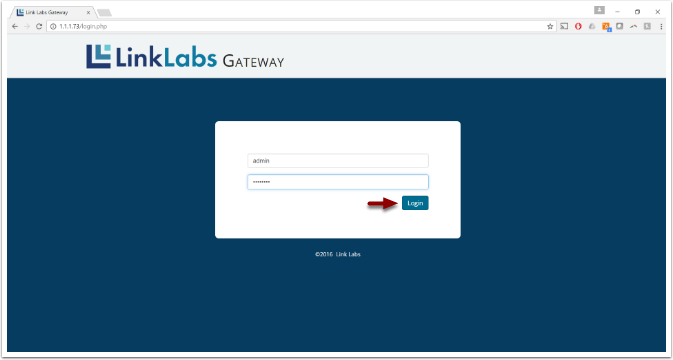 Once the gateway is connected to the Internet, click the Register Gateway button in the Symphony Registration section of the local webpage. The Conductor Login prompt appears. Enter your credentials and click the Login button. Or, if you do not have a Conductor account, click the Create User button and follow the directions to make an account. The Register Gateway prompt appears. 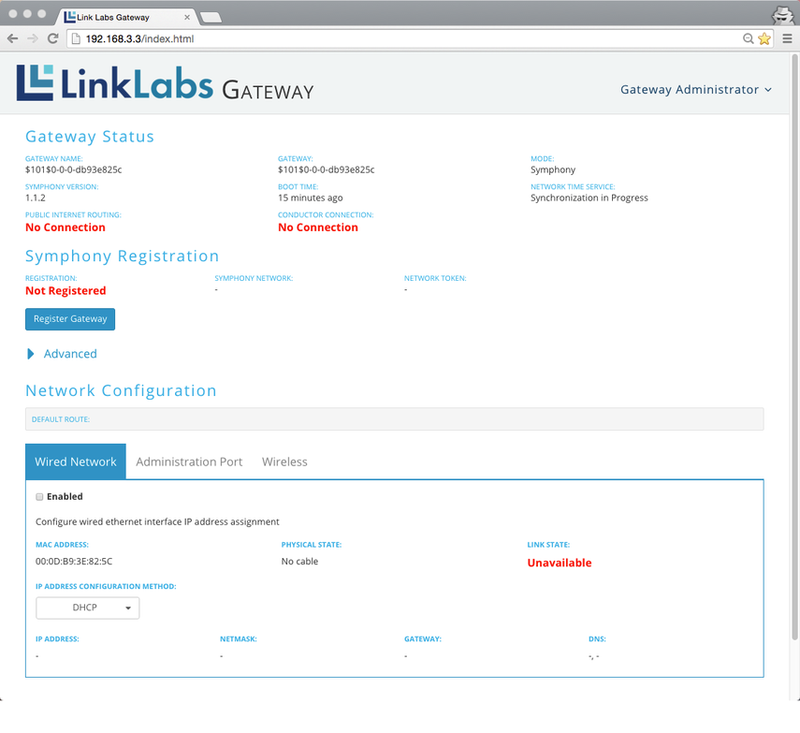 In this example, we're going to register the gateway with a new Symphony Link Network. 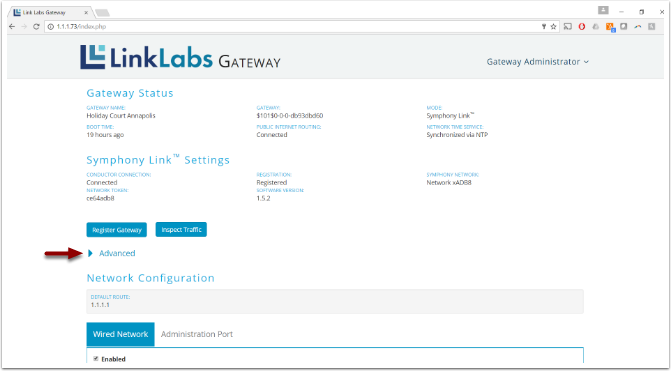 (But if you want, you can simply register the gateway with the Open Gateway network.) Click the Create Network button. Conductor populates a new, unique network to the list. In this example, it is Network xB36E. Click the Register button. For detailed instructions to access the gateway's local webpage, visit this article. Step 3: Click the "Check for Updates" button. The cellular-enabled gateway requires an LTE-enabled 2FF SIM to connect to a cellular network. Remove the four screws, which secure the lid of the enclosure. Then remove the lid and set it aside. Install the SIM card on the underside of the motherboard with the pins facing toward the PCB. Replace the lid and screws.